September 25 was going to be my day. 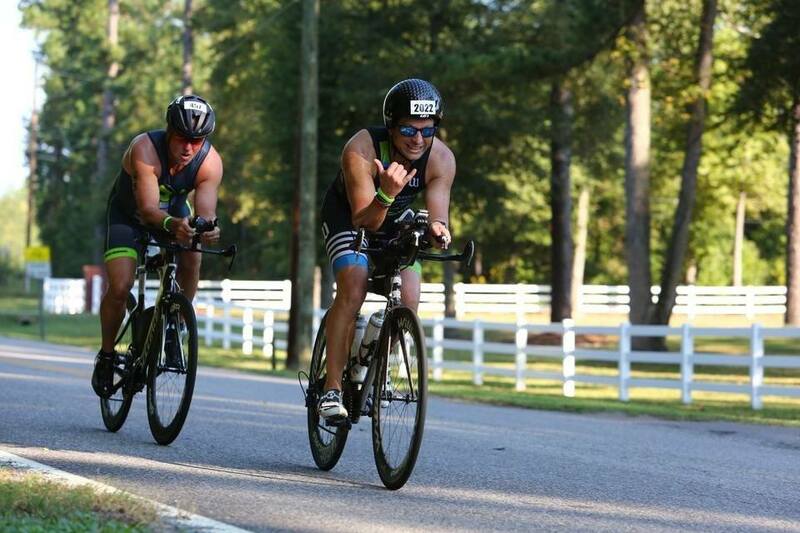 The Ironman Augusta 70.3 triathlon was finally here. The race I had been training so hard for on one of my favorite courses. 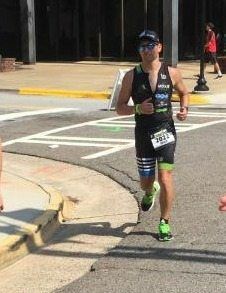 It was four-and-a-half months since Ironman Chattanooga 70.3 and I was going to be ready to get my vindication and PR like I never had before. This was going to be my glory day. I knew it. Driving up from Tampa, was a piece of cake. I had the presence of some beautiful and talented athletes; Maria Lopez Vijayanagar, Nancy Hepner, and our own personal driver, Jamie Breibart. Between awesome conversations, laughing and completing some work, the time flew by. Before we knew it, we were pulling up to the Marriott Hotel which housed the Augusta Convention center. 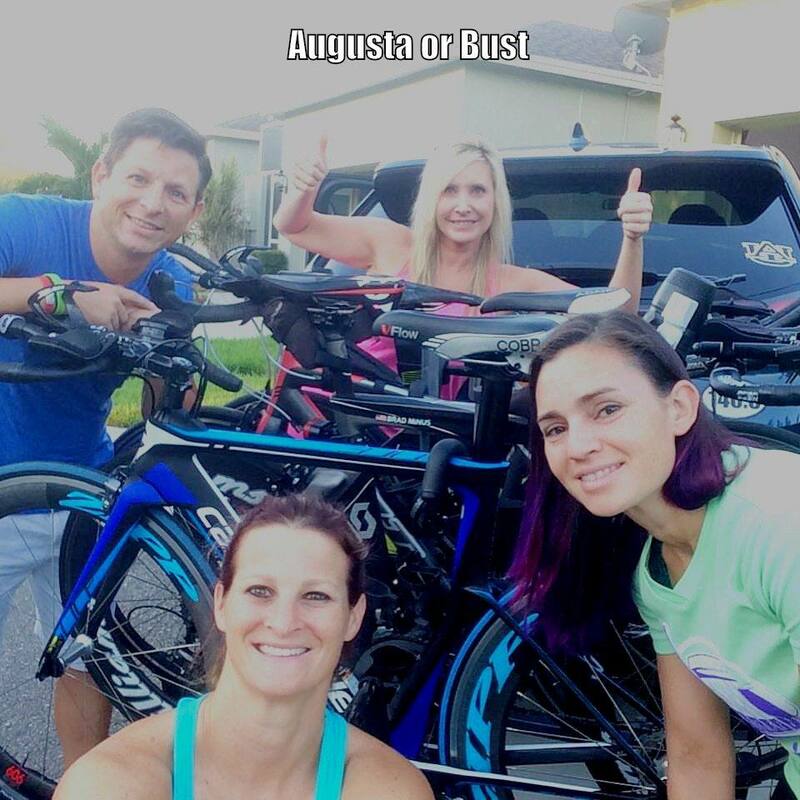 This was the first time ever, I stayed in the Ironman Augusta 70.3 host hotel. Actually, it was the first time I ever stayed in a race’s host hotel and I was excited. The pounding of my pulse intensified with every step we took towards the expo. Check-in was a breeze especially on Friday afternoon since most of the athletes would probably wait until Saturday. The next thing I knew, I had my cool new swim bag containing my packet, t-shirt, and swag. A few moments later, I was standing in line to buy the traditional extras. Some athletes always get that year’s t-shirt, some pick something different every time, I get a coffee mug and water bottle with the race logo. The vendors that provided booths were of the same variety as usual. Cliff bars, a local gear shop, BASE salts, a new pet food sponsor, and of course my friend Scott Rigsby with his foundation. I have mentioned Scott in a few other posts. He was the first double amputee to finish the Kona World Championship Ironman. He went on to form a foundation to help soldiers with disabilities; The Scott Rigsby Foundation. With that completed, we headed down to Mellow Mushroom for some much-deserved carbs to include one of our favorite carbohydrates. BEER. Craft Beer because I am a snob like that. If you ever get to try their Mega-Veggie pizza, go for it. It is magnificent, especially if the tofu is traded out for avocado. After a long conversation at the bar that included my last drink before the race, it was time to get a good night sleep. That, unfortunately, didn’t happen. Two nights prior I always prescribe a good nights sleep and only awake when the body is ready. This allows for maximal recovery for race day with ample healing of any inflammation. I have no idea why. but sleep evaded me most of the night. I still felt rested upon getting out of bed around 7 am, but not as much as I would have liked. It was a toss-up of whether to go and jump in the river with our wetsuits or not. Nancy had never swum in open water with a wetsuit and was nervous about the swim. I was also anxious to jump in to get a feel for the temperature and if my wetsuit was still functioning properly, so we headed down to the swim start. We suited up and jumped in. The temperature was a little chilly at first, but within ten strokes it felt glorious. The current was running about 2 knots, so my strokes to the first buoy felt like slicing through butter. Jaime and I waited at the first buoy while Nancy caught up to us. Her boyfriend Hans had arrived the night before and being a marathon swimmer, he was incredibly comfortable in the water. He talked her through jumping in and they met us at the buoy. We splashed around and played like kids for a few minutes before we decided to head back. Now that was work. It was like swimming on a treadmill. We ended up swimming to the side and shimming up the dock instead. Funny thing was there was no way to use your legs to get on the floating dock. I muscled myself up and then brought up Jamie, Hans and finally Nancy. That was an experience. To make matters worse there was a locked gate in front of us with nothing on either side except water. We had to carefully hang on the outer chain link fence to get around the locked gate door. It was like a pre-70.3 obstacle course. With Nancy now comforted with the buoyancy of her wetsuit, and a real confidence booster for myself, we headed back to the hotel to get a quick ride in. Maria and I headed out and on Broad St for about a mile when I heard Oscar Alvarez, a teammate from our national team Moxie Multisport, yell from the Holiday Inn. I have never had the chance to ride or even get to know Oscar so I was excited when he flagged us down. Donna Adams also joined us, from Moxie, as we headed out of town for about 15 minutes. We turned around and headed back. I toggled through all my gears to include my small chainring knowing that there were some new hills added to the course. Everything seemed to work very smoothly, which just increased the intensity my excitement. After dropping off Oscar and Donna at their hotels, Maria and I pedaled back to pick up Nancy and Jamie. I completed attaching the stickers on my bike and changed into regular shoes for the jog back. I, unintentionally, put my debit card and license in a bento box on my bike, and we headed out. Again, things went very smoothly. We rode right in, racked our bikes and headed out. I had a pretty good position sitting almost the very middle of the transition area, just a few positions to the left of the aisle. It didn’t seem like anyone wanted to jog back, and I was ok with that. However, about half-a-mile out, I remembered that I had my credit card and license on my bike. I gave my helmet to the ladies while telling them I would catch up and I started running back to transition. This is the first season in seven-and-a-half years I have had any type of injuries. Earlier in the year, I was suffering from a stress reaction in one of my right metatarsals and lately, I had been suffering from some Achilles tendinitis. It was so wonderful to run and not feel any of that pain. Running into transition I caught the site of April from my local team, Outspokin Multisport. I stopped and chatted for a quick second before continuing on to rescue my stuff. Confidently, I ran back out feeling really strong. 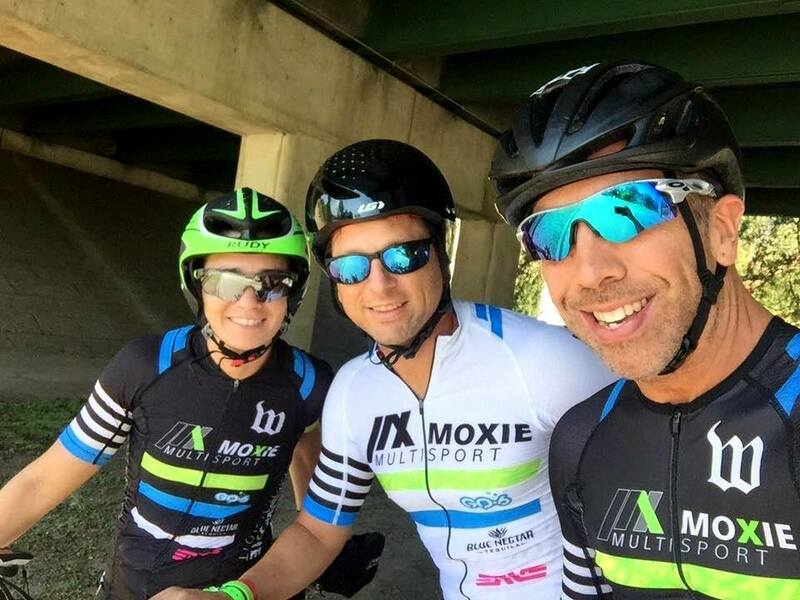 I was lucky to run into two more Moxie teammates, Josh Otstot and Alex Bautista before finally catching up to Maria and Jaime. The confidence was brimming with me throughout dinner at a local sushi and hibachi restaurant. I had rice, chicken and little sushi to fulfill my balance of carbs, protein, and good fats. Fueled and completely prepped for the race, I fell asleep and remained in restful slumber until the alarms went off at 4:00 am. Ironman rotates the start waves of their races, in order be fair to all of the Age Groups. In other words, while one year the 45-49 age group might be in an earlier wave, the following year that same group would be scheduled later. This year my age group was starting later at 8:28 am. Since we didn’t need to travel to transition to setup race-ready, we dressed comfortably and headed out to the buses to be transported to the transition site. Over the years, my experience in setting up my transition has been drastically reduced. I now can do a full setup and walk-through in just a few minutes where before it would take a lot longer. As I started placing bottles in the cages I noticed my rear tire was completely flat. While a lot of athletes would consider this bad luck, I was grateful that I found it now rather than on the course. Not to mention, there was a maintenance crew here that would be far faster at repairing it than I would. As it turned out, I was correct in that assumption. I handed the mechanic a tube, and they pulled my back wheel, changed the tube to include adding an extender, returned the wheel to my bike all within just a few minutes. With that, I was set up and ready to rock n’ roll. Announcements flooded the air during our setup time in transition, of which most were normal except for the one big kicker. This was a little bit of a surprise. This was one of the reasons I loved this race. I am not the fastest swimmer but allow me a downstream swim in a wetsuit and I can hold my own. Unfortunately, now I just lost one of my advantages. All the way back to the hotel, I took part in a lot of self-talk. Telling myself, that I had done the distance in the pool hundreds of times, and as the river was fresh water that is all this was. I also still had the advantage of the current which was moving between 1.5 and 2 knots. Not to mention, my transition time should be faster. This calmed me down, as we headed back up to the room to prepare for our start times. My breakfast of oatmeal, a banana, a cliff bar, and coffee went down easily as my anxiety slowly started to grow. I rolled out my legs, did some dynamic stretching, dressed, and headed over to Jaime’s room to pass the time before heading down to the swim start. At 7:30 we walked down to the swim start as Nancy had an 8:04 start time, followed by me at 8:28, and Jaime at 8:40. As this would be Maria’s last race in the Pro division, she was already on the course. I was pushing all of my positive energy to the forefront of my mind for Nancy. She was comfortable in the water during our test swim the previous day and while she could’ve still used her wetsuit, it would have meant starting at 9:30. With the temp already at 77 degrees that would have been for an even hotter race. I applauded her for deciding to go without and starting with her wave. Before I knew it I gave hugs to Jaime, a number of other friends and teammates, and was in line with the rest of my age group. At 8:24 the staff moved us to the dock where we would start. Usually, there is a rope start-line ten or so meters from the dock. This year they wanted us to start touching the dock. Due to the number of triathletes in my group, there was not enough dock to allow everyone a water start, so I was forced to stand on the dock and jump in when the horn blew at 8:28. As I jumped in, the cool water prickled my skin as I surfaced and started my stroke. The anxiety completely wore off, and my heart rate decreased when I found my rhythm. I kept my mind quiet, focusing on reaching as far as I could while driving my hip down pulling myself through the water like a ladder. I have written and said before, I am not the fastest swimmer by far. Actually, I am downright slow, but I have been working on it every season. You can imagine my surprise when I reached and found a foot there. I couldn’t believe it either, I caught someone. There truly is a first time for everything. As I was maneuvering around the swimmer and was surprised again by a kick to my hand. Then I was boxed in a group and I thought, “This is great, I can just hang in here and take advantage of the draft. Unfortunately, that didn’t last. The athletes on either side of me started swimming into me, throwing off my rhythm and the athletes in front slowed down so I was now getting kicked in the head. I pulled back into a breaststroke and swam out of the way. It took a minute or so to get my breath and site line back so I could find my rhythm again. Unfortunately, I experienced a similar scenario a little while later, with me resolving it in the same fashion. I was feeling a little peeved, but on the other hand, I was fascinated that I was forced to pass some of my fellow age group athletes in my weakest event. 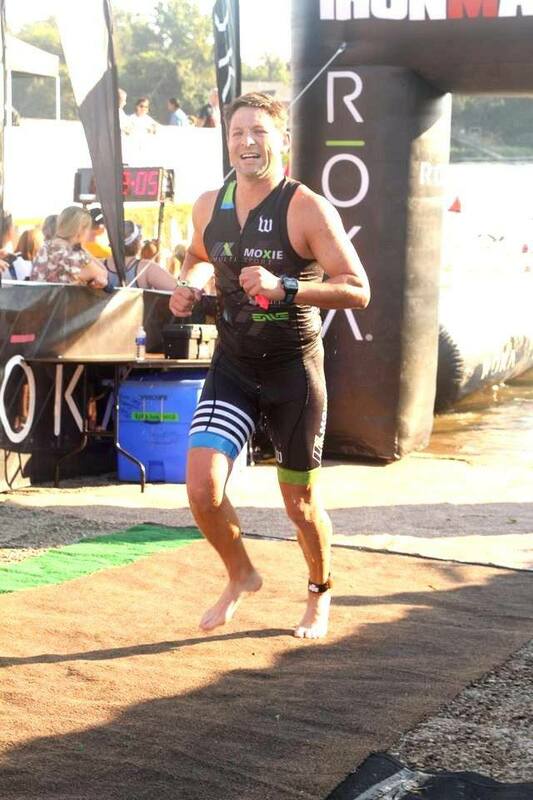 With a huge smile on my face, I pulled off my cap and goggles as I ran into transition. I looked down at my watch and saw 34 minutes and change. That was a PR for me, not by much, but gave me a huge energy boost crossing the mount line as I began the bike portion. This season was all about the bike. I have been focused on increased efficiency and speed on the bike during my training and my earlier results have proved that it had worked. My ride felt like silk on the early portion of the bike. The derailleur was moving through my gear changes like butter, my goal power was ranging perfectly between 180 and 190 watts and my speed was a consistent 22 mile per hour. I felt like I was unstoppable. The first set of hills uneventfully came and went without any kind of changes in effort level. The excitement was radiating from me because everything seemed to be coming together. I stuck to my nutrition plan and wattage like glue and just kept passing people. Another set of inclines came around mile 38. These were the grade of hills that bring your speed down to 9 miles an hour. I kept a cool head knowing that what goes up, must come down and I would make up the speed on the decline. At mile 42, I noticed my time. Big Mistake. All of the sudden I was concerned that I was under 21 miles an hour of which I was consistent for the ride prior. Had I really slowed down that much? My goal was 21 mph, and I was thinking it was conservative. It would allow me to finish the bike in 2:39, but now that goal was in danger. Around mile 45, I started to feel a little sluggish, so I took an extra gel and finished the formula in the current reservoir. Unfortunately, it took awhile for my digestive system to process the extra calories, as the following five miles felt very slow. The last five miles were either downhill or pretty flat. I was consistently riding between 22 and 23 MPH, but it wasn’t enough. I rolled into T-2 in 2:48. Just prior to the dismount line, my thoughts went to the run. I had decided I just needed to pick-up the pace 15-20 seconds for a few of the miles and I might just be able to make a lot of it up. Even if I didn’t hit my goal of 5:17, I would still PR. I was ready to hit the dismount line running into T-2, but when swung my leg over my seat a pain in my hip almost made me fall. “What the hell?” were the words that came out of my mouth for everyone to hear. I tried to run my bike into T-2, but they would not move. My legs just refused to do anything other than walk. My thoughts drifted to other races and my internal dialogue was encouraging reflecting my previous history of my legs waiting to transition at mile 3. I changed my shoes, grabbed my race belt and hat and headed out, with a brief stop at the portlet. I tried to jog a little, but a stabbing pain was radiating both hips, so I walked very briskly. No problem, I strategized taking in a little more salt, some water and jogging to mile 3 where my legs would magically open up and I would finish around 2 hours. The goal not reached but still a PR. Unfortunately, it never happened. Mile 3 came and went with me running slowly for a tenth to a quarter mile before having to walk. The pain radiating through my legs while running, but disappearing while walking. I went back to my training. Asking myself what I thought was happening physiologically. Tracing the muscles radiating from the hips, and assessing each individual pathway. I was at a complete loss. I had no idea what was going on. Over the next few miles, I did everything possible to go from aid station to aid station stuffing ice down my shorts trying to numb my hips. Unfortunately, the temperature and humidity were increasing as well. I didn’t feel like it was really that warm, but I noticed all the walkers. The last four times I did this race, there were finishers that walked, but I didn’t recall the immense number of walkers I was noticing. There were more athletes walking than running. It didn’t make me feel any better, but there was definitely something going on. The first time I completed Augusta I recall it being even hotter, but not nearly the amount of walkers I was noticing this year. The rest of the run was more of the same. a quarter to a half mile of running and then I walked until the pain subsided. I was constantly making deals with myself to run just a little longer each time. After 2 hours, mile 10 was the marker I was finally able to surpass feeling completely defeated, angry, in pain and embarrassed. I was doubting everything I ever learned, my ability as an athlete and as a coach. If I couldn’t get through a 70.3 in less than 6 hours what right did I have to coach other people? When I finally turned the corner towards the finish line, Maria, Jaime, and Hans all had their cameras or phones out. I was trying to signal to them not to take a pic because I felt so ashamed. Crossing the finish line was completely anti-climactic as my watch blinked 6:16. The slowest time since my first 70.3. I didn’t care about it and I almost passed up the people handing out the medals. At the time I am writing this I still have not hung the medal on my wall with the others. I grabbed a coke from the food tent and proceeded to find Jaime, Maria, and Hans. We watched Nancy run by just prior to the halfway point, cheering her on and encouraging her to keep moving forward. After that, I followed Maria back to the hotel and we chatted. She expressed her disappointment with her race, especially the run. I tried to be upbeat, but my thoughts were very negative. I really don’t like being that way. It makes me feel weak. I left the celebration early that night and went back to the room. I packed and escaped into the mindless abyss of television just wanting the day to be over. Over the next days, I reviewed the race, trying to resolve my issues on the run. I realized there is one crucial element of my training that I neglected this season. Massage. In the past, my regimen included regular visits to my License Massage Therapist. That habit has been occurring for every season of training for five years prior. I completely neglected this avenue of my training this season. Was this the answer? I have no idea, but I will be taking that lesson and integrating back into my routine. The release of negativity was a relief since returning home. My coach, Jon Noland, always says the best thing an athlete can have is a short-term memory. I have taken the lessons from this race, and now I am moving on to my next challenge. 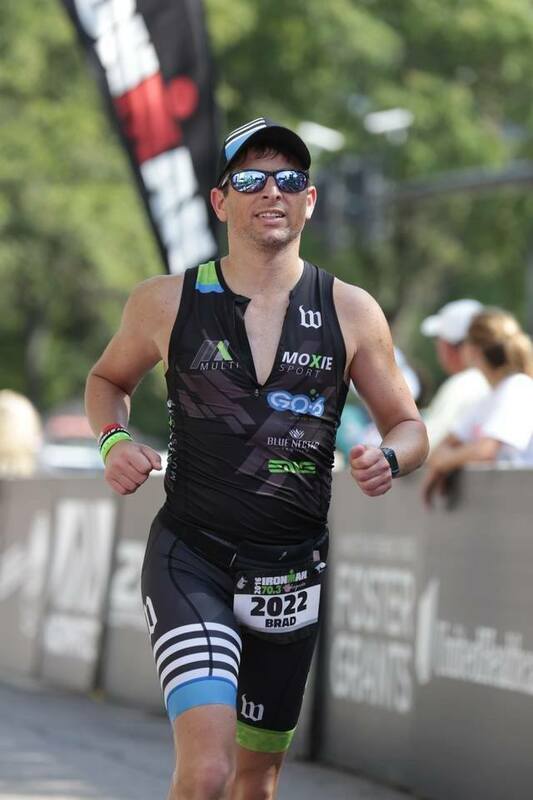 is a certified running coach, triathlon coach, personal trainer and sports nutrition coach who's real passion is to help others enjoy the journey on the way to conquering their goals. He has written many articles and guest posts on the technical, nutritional and psychological aspects of endurance training. He currently lives and trains in Tampa, Florida. Wow. That’s quite an adventure. You faced so many obstacles but at least you fought through them. I happened upon an ironman taking place in Dublin in August. I admire any one that can push their body to the limit like this. Congratulations on a great race! Nice recap! Copyright Ⓒ 2019 Inner Fire Endurance Sports, LLC | All Rights Reserved.